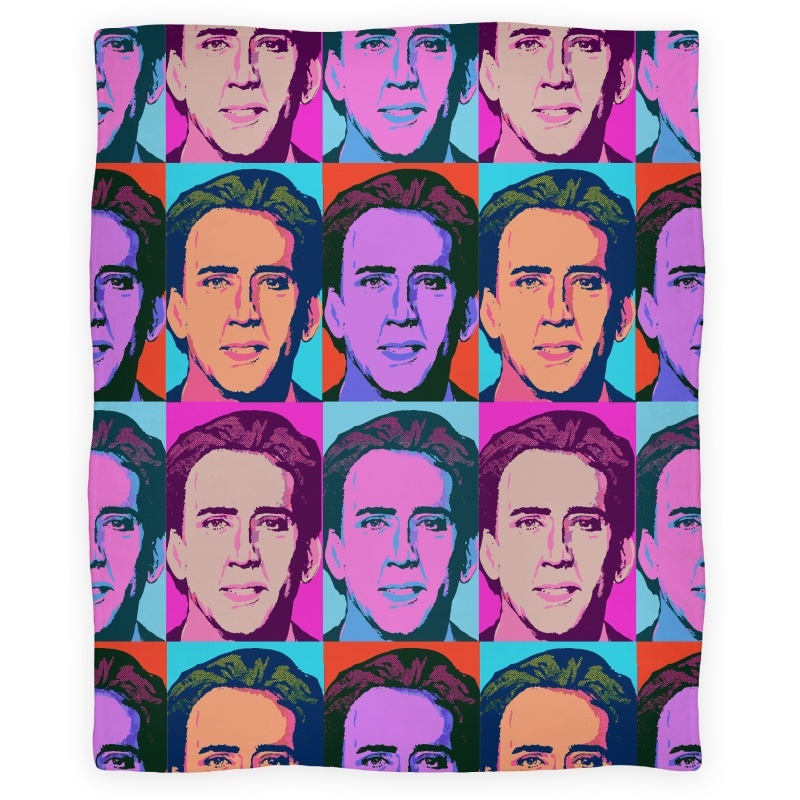 Before I begin, I have to be upfront about the fact that I haven’t yet purchased the glorious Nic Cage fleece blanket from my last Best Buys post. I’m waiting for adequate funds so I can snuggle with Cage guilt-free. I assure you, the order will be placed very soon, and once that bad boy arrives I’ll post photo evidence of my new blankie along with an example of “nested scrolls” (see the Nic Cage post for details). Watch this space. Anyway, this post is not about Nic Cage and in fact it delivers an even greater temptation than Nic’s face in fleece. 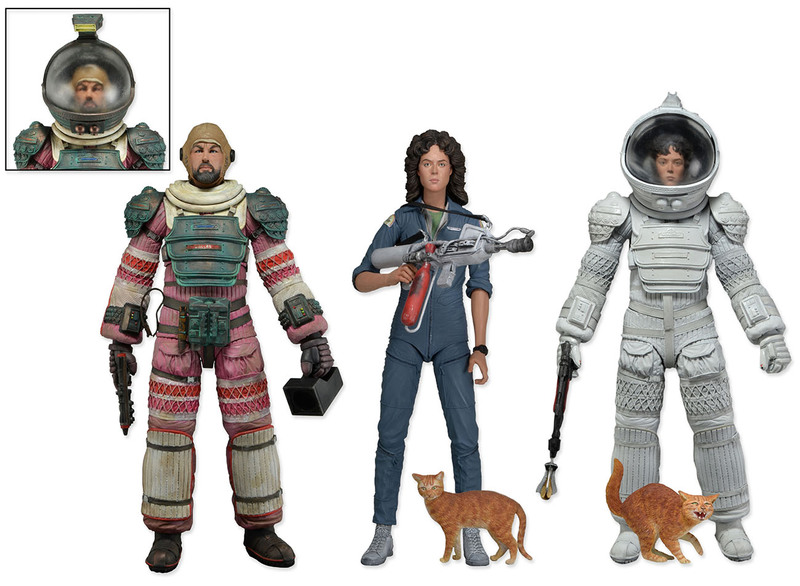 Toy manufacturing goliath NECA recently released their Series 4 Alien assortment, featuring teeny-tiny Jonesy figures. Jonsey, the cat. From Alien. Remember? 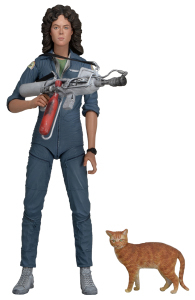 – The series features the first Ellen Ripley toy to have Sigourney Weaver’s facial likeness. 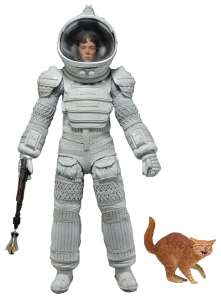 – The series features two versions of Ripley and Jones: a Space-Suit Ripley, with hissing Jones and a jumpsuit Ripley, with chill, or neutral Jones. – The series also features a Space-Suit Dallas. He is neither Ripley nor Jones. Just look at this line-up (Dallas excluded for obvious reasons). 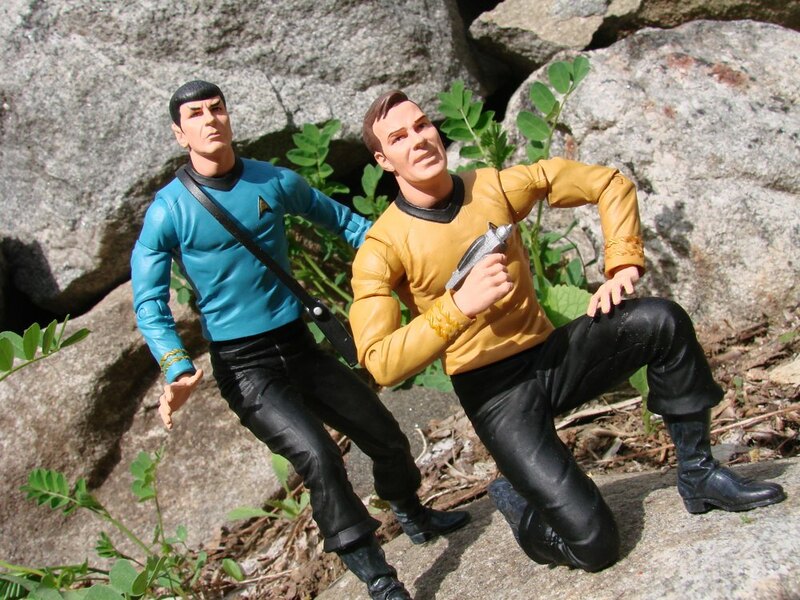 In short, this is a one-of-a-kind collectors investment and already a serious contender for this years Maven’s Best Buy (I just made that up, apparently it’s going to be a thing). Series 4 is available in March and you can pre-order here.